The Graduation Committee is a relatively small, event-based committee. It has three major events throughout the academic year, so the time commitment peaks around these event dates (one in fall semester and two in winter semester). The committee is overseen by the committee chair, and tasks are distributed among committee members based on availability and interest. This is an excellent committee to join if you want to get a better look at event planning for 200-500 people or have any interest in design, event layout, acquiring permits, arts and crafts, organizing volunteers, etc.! This event runs once a semester for each graduating class, and is a prime opportunity for graduating engineers to rejoice in a (nearly) completed degree with their fellow graduates and family. Graduating students fill out a Graduation Package form early in the academic year, specifying when they graduate, from which program, etc. They are then notified of their respective times for ring fittings and payments based on their graduating semester and department. 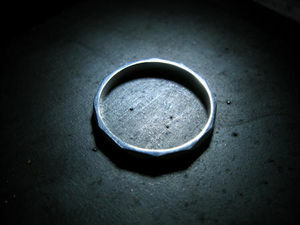 Tabling for ring fittings and accepting payments falls under the jurisdiction of the Graduation Committee, although we work closely with MESC to use this information in organizing the Iron Ring ceremonies. Graduating students receive three tickets to the wine and cheese (one of which is for themselves), but often there are extra tickets available that they can purchase at a later date. Set-up for the wine and cheese generally begins 4-5 hours before the graduates arrive at the event. The Graduation Committee members are responsible for arranging all decorations, permits, bookings, catering, and tickets for the wine and cheese, but MESC arranges the Iron Ring ceremony itself. After the ceremony is completed, graduates migrate to the wine and cheese location (presently Trottier), and are invited to listen to a live band, enjoy the wine and food, and mingle with the fellow graduates and their guests. As a committee, the primary focus is on ensuring the best possible experience for graduates and their guests. This includes ensuring that tables are well-stocked with food, that coat-check is orderly and prompt, and that we do not have people who have not paid for the event taking food and wine from those who have. The wine and cheese for students graduating in the "winter" semester (i.e. May), is generally much larger due to a larger number of graduating students. As such, there are generally two separate wine and cheeses to accommodate more people. This means that we also require more volunteers for the winter, because there is essentially twice as much work to be done. Plumber's Ball is the engineering formal event of the year. Taking place annually in spring, this event is a beautiful night for graduating students to celebrate their accomplishments with their classmates and non-graduating friends. The event includes a three course meal with wine, an open bar, and a night full of photo-taking and memory-making after dinner on the dance floor. The Graduation Committee is proud to run this event, and each year many hours go into executing a new theme and ensuring that attendees are provided with an excellent meal and evening. This includes arranging the table seating, acquiring meal choices from attendees, and overseeing the event the night of. Luckily, you get to have fun too! The committee chair is responsible for the execution of the fall/winter Iron Ring Wine & Cheese ceremonies and Plumber's Ball in the spring. This includes assembling the Graduation Committee in the beginning of the fall semester by releasing public applications, collecting and reviewing the applications, and interviewing potential candidates. In addition, the committee chair leads the meetings of the committee as they plan their three major events, oversees the delegation of the event responsibilities, and supports the team throughout the planning process. Finally, the committee chair coordinates the timeline of the major events, and arranges the scheduling of ancillary tasks such as tabling and set-up for the events. The committee chair is also responsible for overseeing the budget for Graduation Committee, no small feat as it has the third largest budget of all EUS committees. As a committee member, you will assist the committee chair in the planning and execution of the three main events. There are a wide variety of event-planning tasks that you could expect to take part in, so if logistics are something you find interesting, consider becoming a committee member! Example tasks are listed below. Tabling for accepting payments for the iron ring ceremony, Plumbers' Ball, yearbooks, etc. Aiding the chair in collecting responses from attendees for menu choices, table selection, etc. As a volunteer for either the fall or winter wine & cheeses, you will assist the committee in running the events. This is a great event to spend a few hours at, and we are sometimes fortunate enough to have food left over at the end for volunteers to enjoy after working hard all day. Some of the tasks you could help with during the event are listed below. This page was last edited on 13 February 2019, at 15:06.